We are excited to announce the arrival of Ric Elkington as Head of Naval Division for both AGI and Aish. 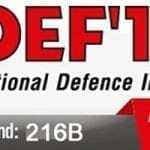 This April sees the 14th edition of IDEF in Turkey and AGI will be exhibiting alongside our Turkish representatives Dormak. The AGI Naval Team are exhibiting at LAAD in Rio De Janeiro from 2- 5 April and welcome you to join us in Hall 2 on stand number B34. The AGI Naval Team will be exhibiting at NAVDEX this February and welcome you to join us on stand number C-003. 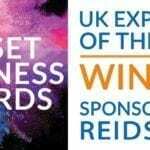 Held on 17-21 February in Abu Dhabi, Navdex is the most important maritime defence exhibition in the Middle East. 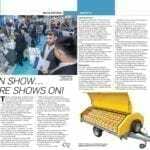 Alongside attending this year’s Dubai Airport Show, our Airport Systems Division is featured within this month’s Arabian Aerospace Magazine. 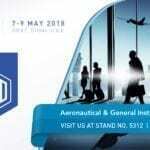 AGI Airport Systems Division will be exhibiting their emergency portable airfield lighting products at The Airport Show in Dubai on 7th – 9th May 2018. 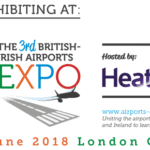 AGI’s Airport Systems Division will be exhibiting their emergency airport lighting products at the 3rd British Irish Airports Expo at London Olympia on the 12th – 13th June 2018. 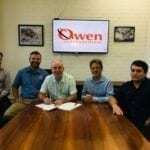 AGI is pleased to announce the signing of a Memorandum of Understanding (MOU) to establish a regional support hub with Australian company Owen International Pty Ltd.
Against stiff competition, we were informed that we were clear winners of this category. 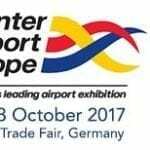 AGI’s Airport Systems Division (Metalite) will be exhibiting at Inter Airport Europe in Munich on the 10th – 13th October 2017. 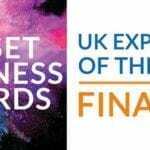 Aeronautical & General Instruments Limited (AGI) is pleased to announce that it has been awarded a “Design & Manufacture” contract by BAE Systems – Surface Ships. 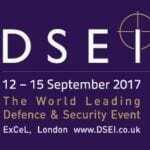 AGI are again exhibiting at the International Defence Industry Fair (IDEF) 2017 which takes place in Istanbul, Turkey from Tuesday, 9th May to Friday, 12th May.